Shipping etc. - Presspop inc. 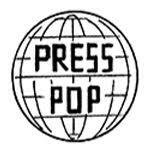 Thank you for shopping with Presspop Toy. We hope you enjoy your new purchase and we are grateful for your business. All toy sales are final at presspop.toys. However, if your merchandise has a significant defect right out of the box, (e.g., the product is broken, has missing parts, etc.) contact us within fourteen (14) days with photo of the damage, and if we can see that the claim is reasonable, we’ll be happy to exchange it for a non-damaged item or provide you with the missing parts. All other toy sales at presspop.toys are final. International shipping is handled by International EMS from the Japanese post office. All international shipments are shipped via EMS EXPRESS MAIL only, and we do not use regular Air Mail. For the shipment to arrive to you, it usually takes 3-7 days, depending on the country you are in.